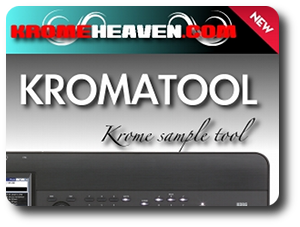 Awesome B4 Hammond Organ Samples and Combi Pack ! 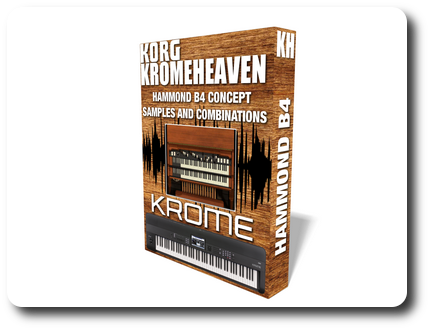 Here is, at last, a free B4 Hammond Organ concept : Samples and Combinations for your korg Krome ! Some of you have already seen my live video, converting the original Pack from the Korg M3 on our private facebook group : it is now released for everybody ! You want to reach us on facebook ? (A great place to share and beta test our packs) No problem, provided that you respect our rules : Answer our questions when asking to join. Wahou ! Something very similar to the Killer organ pack from our friend Dan Stesco, in fact ! What about checking this in detail ? There are 671 different samples. 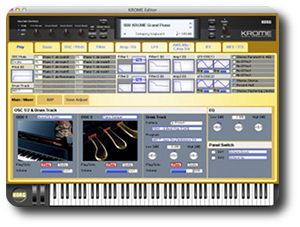 Each key (C1 ... C6 = 5 octaves); each drawbars (1 ... 9) plus 2 percussion sounds. Program bank F holds the basic "building blocks" for the Hammond sound. Each drawbar (1 ... 9) and 2 percussion sounds (2nd and 3rd) are here. You don't want to play with these, so just read on. Use Sliders 1 ... 8 for drawbars (1 ... 8) - NOTE: Drawbar 9 is located in Combi's program #9. 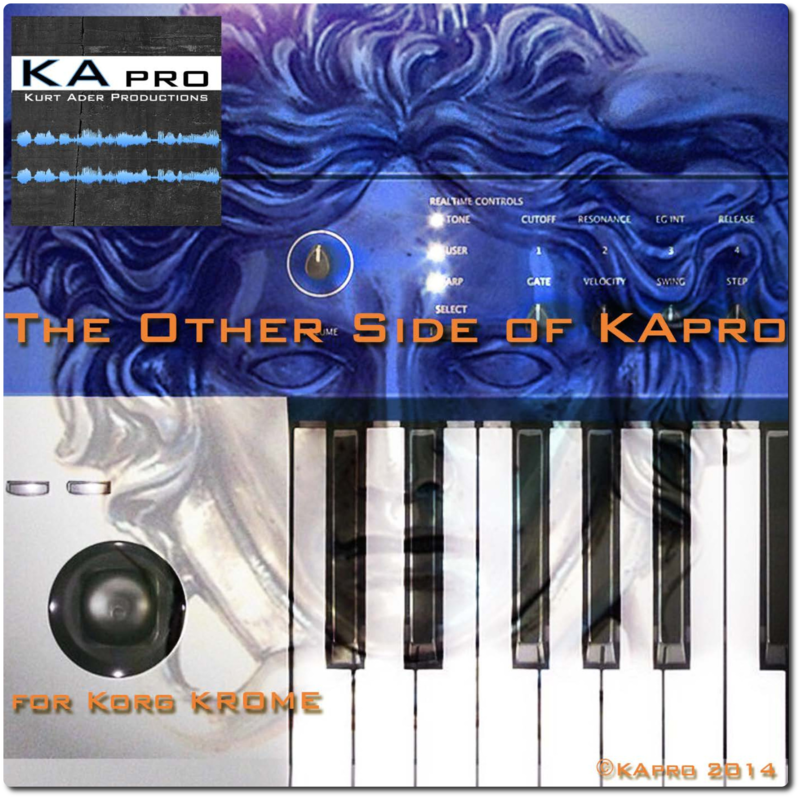 Since there's only 8 sliders in M3 (and the krome), you don't have a realtime control over it. Use the touch screen to edit the volume of drawbar 9. Value Slider: adjusts amount of overdrive. Light in the button displays you whether the Vibrato/Chorus is on or off. Press once to turn on, press again to turn off. In some combis the effect is Vibrato, on the others it's Chorus, or a mix of them both. Joystick Y (pull down the joystick): Leslie Brake: pull the joystick down to completely stop the rotating speaker. NOTE1: Pull joystick down to stop Leslie, pull joystick again to release Leslie again. Adjust Leslie's rotating speed manually. Left = Slow. Right = Fast. NOTE: When you let go of the ribbon, the Leslie will return to Slow. This will not reset the light in the SW2. So you may end up with SW2 light on, but the Leslie is on Slow. Press SW2 twice (-> Off -> On) to start Leslie again. - Percussion 2nd and percussion 3rd are located in Combi's programs 10 and 11. So whenever you need them, just un-mute them. 007: B4 Oye Como What!? 015: B4 Barbara Drrlr... Who? Best will be integrated in the pack !!! 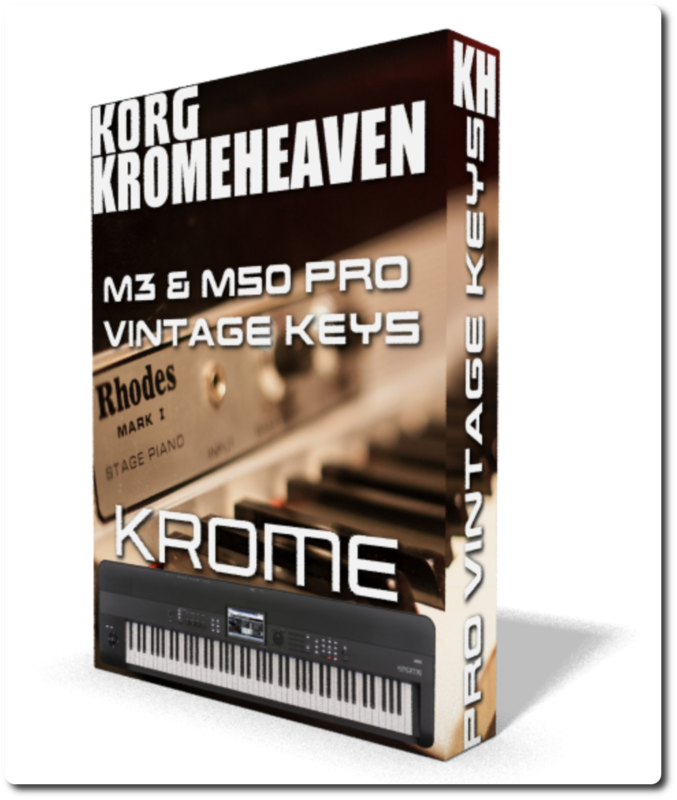 M3 & M50 Pro Vintage Keys for Korg Krome ! Here is our last "Bank F conversion" for your Korg Krome : M3 & M50 Pro Vintage Keys sounds Pack with relocation in Bank F, in order not to impact factory presets ! 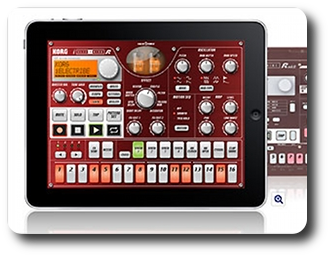 This is a great 32 programs pack with many controls possible. Check the pdf embedded in the zip package.